Shooting’s new super sport: extreme long range. Beyond the 1,000-yard mark, generally starting around 1,500 yards. From a cold rifle, a shooter must put three shots on target. Variants of the .375 CT are generally the most successful rifles. .30-caliber magnums and .338s are also viable. Clarity and resolution are more important optics qualities than magnification. Bullets require speed combined with a high ballistic coefficient. Shooting precision rifles at extended ranges is growing increasingly popular. Extreme long-range (ELR) shooting is often defined as distances beyond 1,000 yards, though some many argue ELR “starts” at about 1,500 yards. Wherever that answer lies for you, more people are shooting out to ELR distances — and claiming various levels of success along the way. In the ELR game, nothing comes cheap. Heavy actions, feeding long barrels and built on massive stocks, are the norm. As part of Sniper’s Hide, I have been involved in Extreme Long-Range shooting for many years. I enjoy it so much that I’m also working with a group of like-minded shooters to standardize what constitutes a “World Record Shot.” Alongside the likes of companies such as Applied Ballistics, McMillan Stocks, Cutting Edge Bullets and Warner Tool, as well as with individuals such as David Tubb, standards are on the horizon. Too often we see videos of guys launching a single round at an incredible distance only to find out they expended 15, 25, 50 — even 200+ shots to get a single hit on steel. Cue the cheers, stand up and drop the mic. But not so fast. 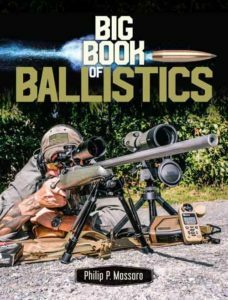 The goal of precision shooting is to promote precision and accuracy, and launching anything more than five rounds at a time without a hit is neither accurate nor precise. Let’s face it: If you shoot enough shots at the target, odds are you will eventually hit something. There’s no skill involved in getting lucky with a cone of lead. In their defense, however, shooting a target at more than 2,500 yards away is as close to a drug habit as you can get without the side effects. When you see that round land just a few feet from the target, it’s incredibly hard to control the urge not to fire another round … followed up by more. The next thing you know, five rounds turns into 10, which turns into 20 — as the shooter mumbles “just one more time.” More familiar with drugs is the cost of shooting at ELR distances. In this sport, things can add up very quickly. The rifle is the heart of the Exteme Long-Range shooting equation. Depending on how far your intended goal is, most are seeing some version of success with a .375 CT variant. This caliber is not only large, but it’s also costly to shoot. Guys can spend close to $8 a shot attempting to squeeze every bit of speed and accuracy out of the caliber. Like all shooting disciplines, success can be defined by the shooter and is built with a successful rifle, optics and bullet combination. And as a general rule to ELR success, big, heavy and fast are mandatory. In addition, extra-large actions are needed, as well barrels that may grow to be more than 32 inches in length. Tying that extremely hefty barreled action together is the stock. McMillan calls their ELR stock “The Beast” because it needs to hold all that in place. A well-constructed Extreme Long-Range shooting rig is going to run the shooter more than $5,000 — and that’s being conservative. That said, you can certainly shoot inside 2,000 yards with smaller caliber rifles. Heavy .30-caliber rounds, such as the .300 Norma Mag., have proven very successful to these distances. I’ve accurately shot my .300 Norma Mag. to 2,500 yards. The caliber performs exceptionally well pushing a 230-grain Berger Bullet to 2,997 fps with a 25-inch barrel, and it’s not nearly as big and bulky as your typical Extreme Long-Range shooting rifle. In addition, .338s are also very popular, and they can be equally successful out to 2,500 yards. The key with the .338 is getting the muzzle velocity up to more than 2,850 fps with a 300-grain bullet. As a side note to building a capable Extrem Long-Range shooting rifle, I want to talk left-hand gain-twist barrels. Everyone focuses on the latest scopes or the newest bullet, but many miss out when it comes to barrel upgrades. I’m using several left-hand gain-twist barrels from Bartlein Barrels. They create some of the best barrels on the market, and the left-hand gain-twist barrels are working. The gain-twist technology isn’t like it used to be — it’s much subtler as well as very accurate. It helps when shooting a variety of bullet weights, not to mention the recoil pulse supports the shooters vs. working against them. If you’re building a new rifle for Extreme Long-Range shooting and you live in the Northern Hemisphere, consider a left-hand gain-twist barrel. You can thank me later. Optics are the next consideration in the overall Extreme Long-Range shooting package, and you need to consider several factors: construction and reliability, elevation adjustments, reticle type and optical performance. Notice I didn’t mention magnification. When it comes to optics, Extreme Long-Range shooting is not about magnification — it’s about clarity and resolution. Considering the conditions one might encounter, mirage can completely obscure a target if you’re trying to put too much magnification on it. The more power you use, the more you magnify the negative elements in the air. Nightforce is one of the most common options on the ELR line, followed by Schmidt & Bender and Vortex Gen 2 Razors. These scopes have a lot of elevation and are known to hold up to the recoil of the rifle. Second focal plane scopes can be an advantage in this game, too. The tall, angled base used on some Extreme Long-Range shooting rifles is designed to get the most elevation out of the scope. With a second focal plane scope, you can cut the power in half and then use the reticle to double the value of the subtensions. A 10 mil/MOA reticle will instantly adjust 20 mils/MOA when placed at half power. Today, the better option is the Charlie Tarac Unit sold by TacomHQ, which is a prism device that attaches to the rifle or scope to instantly increase the elevation. I used this device to shoot a factory .338 Lapua with factory ammo to 4,000 yards. The “Taco Unit,” as we call it, can give the end user as much as 150 mils of additional adjustment. In MOA, the prism can be preloaded with 300 MOA of internal movement — then you fine-tune your dope using the scope. Remove the device and you’re right back to your 100-yard zero. After you’ve assembled your rifle, the most significant element is, of course, the bullet. The 6.5 Creedmoor becomes all but worthless when the word “extreme” is placed in front of “long range.” Some shooters continue to work with the .338 Lapua, while many have settled into a .375 CT variant. Picking the right bullet is more than just a weight question: You need speed combined with a high ballistic coefficient, and that might mean going a bit lighter. Years ago, we did a very detailed bullet test and found with a .338 Lapua that the 285-grain bullet was a better performer than the 300-grain bullet. The difference was speed. You need muzzle velocity to get the advertised results. Sure, you can float the bullet into the subsonic zone, and many will work — but you kill your predictability. Speed wins. If you genuinely want to be successful shooting at ELR distances, consider solid bullets. They have a higher ballistic coefficient and they can be lighter to give you more speed. The best part is that you can push them harder, meaning not just more velocity but increased spin stability. Jacketed bullets can deform under similar conditions, thus killing performance. A fast load with a small, single-digit standard deviation is critical. So where is the standard going? We’re using a 36-inch square target from 1,500 yards and beyond. We want a size that’s practical and can be replicated anywhere in the world. From a cold rifle, the shooter must put three shots on target for it to be considered a record. A shooter may only make two attempts a day, and these must be the only shots of the day. Have I mentioned you need a 4-hour window between attempts? We encourage those who want to push the limits, but we ask for accountability and data. The more we understand the conditions along with the data used to make the shot, the better off the sport will be moving forward. Good shooting, and no wind. Frank Galli served as a Scout Sniper with 1st Battalion 2nd Marines and participated in Operations Earnest Will and Praying Mantis with MAGTF 2-88. Running Sniper’s Hide (SnipersHide.com) since 2000, Galli also teaches precision rifle classes from Alaska to Argentina and all points in between.